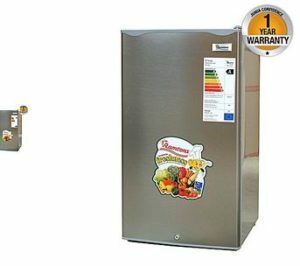 There are several fridges in Kenya but only a few are quality enough to last for years.Ksh20,000 is the average a mount a normal Kenyan is willing to spend on a fridge, but not all brands make available fridges priced below this figure. We wish the most popular fridges in Kenya that cost below Ksh 20,000. The best brands are Ramtons, Bruhm, LG, Samsung and Mika but Samsung and LG are abit expensive through the quality is similar to Ramtons, Bruhm and Mika. 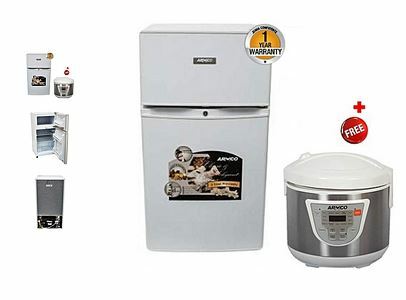 To buy a genuine fridge, you have to visit major supermarkets in Kenya or Jumia website.But supermarkets price them a bit expensive because they pay rent for premises.Normally,a fridge costing Ksh 20,000 at Tuskys will cost you Ksh17,000 at Jumia. If you wish to buy the best fridge at below Ksh 20, 000, here is the list. Super General is a perfect fridge for a large family set up.The wonderful thing about this fridge is that it is a double door fridge. The fridge is silver in colour and costs Ksh21,000 at Jumia. Capacity:- 6.1 Cu.Ft – 175 Litres. I like this fridge because it’s made of two doors.This means if you want to separate vegetables from milk and onions, you can do so by making use of the two doors.It is also big enough to store all your food and drinks without problems. I am particularly emphasizing on double door fridges because they are the best when it comes to storing food and drinks.Normally,the upper door is used to store things like milk and juice while vegetables are stored in the lower door.Armco has a fridge that goes for Ksh 22,000 and it has two doors.This fridge is not only energy efficient but also big enough to satisfy your needs. I personally own this fridge,which is why I am recommending it to my readers. Once you order it from Jumia through this link,the company will deliver it to your house. Armco has the best fridges, iron boxes and other home appliances. The fridge you buy from Armco is a durable one. I have stared at this Ramton 90 Litre fridge until I was convinced I need one. This fridge is beautiful, big and energy efficient. It is also durable.Actually,it has the features of a Ksh90,000 fridge. The fridge is made of one door but it’s excellent for individuals who don’t have a lot of things to store in the fridge. One advantage of this fridge is that it doesn’t take a lot of space in kitchen. 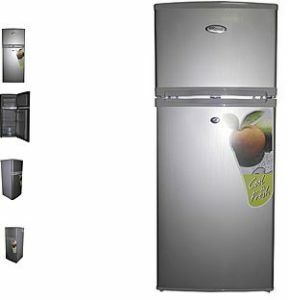 If you have Ksh11, 000 you wish to spend on a fridge, go for this Ramton fridge-it’s available at Jumia.The fridge is extremely energy efficient and can save you the money you would otherwise spend on buying food on regular basis.